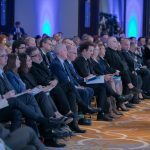 Special Event NATO – Serbia Partnership: Contributing to Western Balkans Security discussed the relations between NATO and the Republic of Serbia in a positive tone, focusing on how the achievements so far could strengthen further their cooperation. 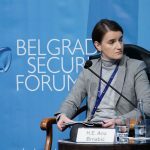 According to the Prime minister of the Republic of Serbia, Ana Brnabić the EU integrations represent the main way froward for Serbia. H.E. 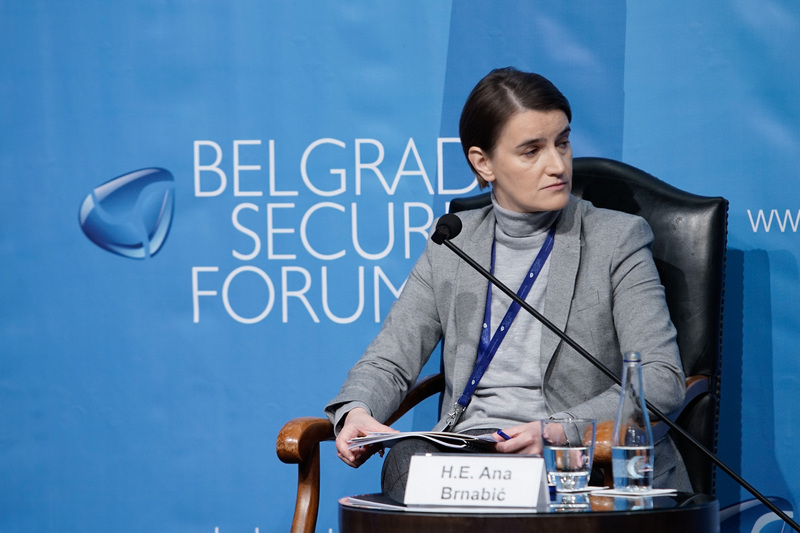 Ana Brnabić reflected on her recent visit to Brussels, stressing the main challenges ahead of Serbia. 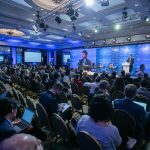 “Serbia is the biggest country of the region, but it needs fiscal and monetary stability in order to play the leader’s role in regional stability. Berlin Process is also an important step for instrumentalisation”. 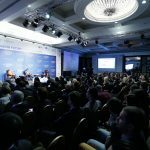 She also focused on three pillows of regional stability in regard to the most pressing challenges in the society, and highlighted the infrastructural agenda, economic and energy stability, as well as regional youth cooperation as equally important factors. 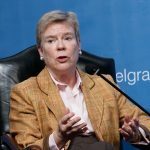 Rose Gottemoeller, Deputy Secretary General of NATO, underlined that thanks to political leadership in Serbia there have been many significant improvements in order to deep further partnership. 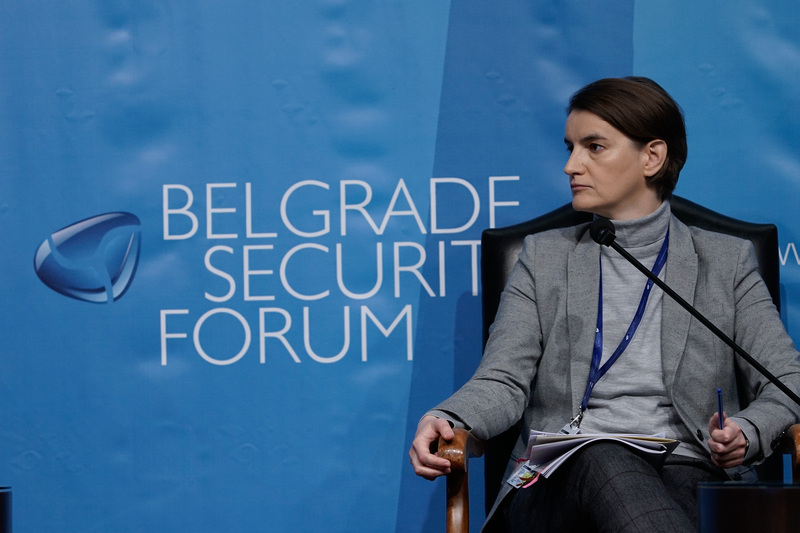 She pointed to professionalisation of Serbian military and growing joint military exercises in the context of deepening NATO – Serbia Partnership. 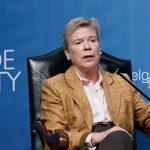 The fact that neighbouring countries are aspiring or associated members of NATO, she interpreted as one more positive affair. She added there have been many common shifts at all. 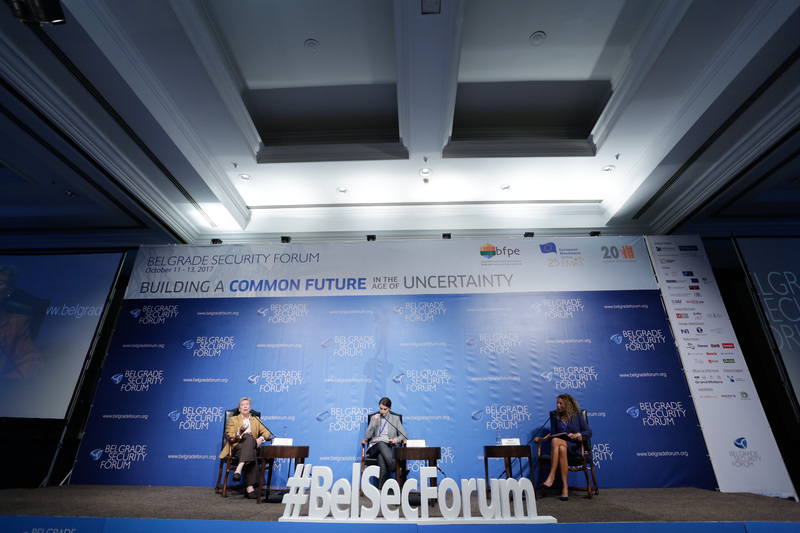 But also, there is a much space for wider fields of cooperation, especially in the economic area. And all this through respecting Serbia’a stance on military neutrality and friendship with Russia. 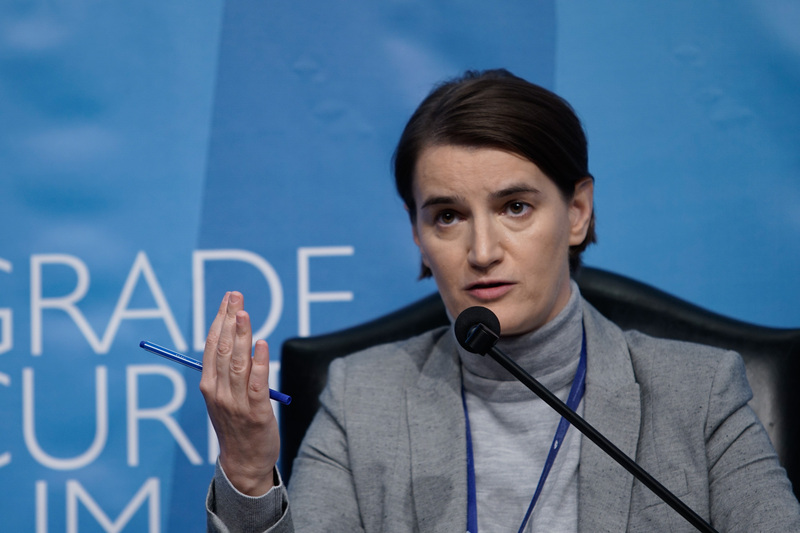 In a hopeful manner, Ana Brnabić added the importance of IPAP for NATO – Serbia relations. 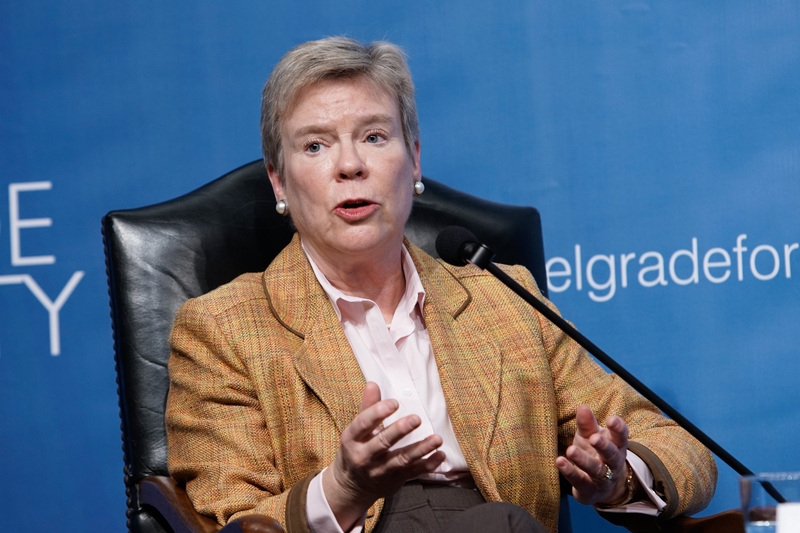 She stressed that Serbia is fully cooperate with NATO, and that military neutrality is not an obstacle. 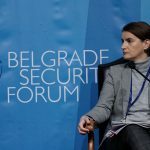 Prime minister reminded that Serbia has had the most of military exercises with United States and other members of NATO so far. And it was characterized as a great commitment to regional stability and common European stability. 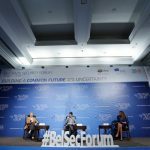 Discussing about barriers for firmer cooperation, the speakers concluded that the common approach in dealing with problems as terrorism is an exigency. 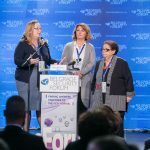 Also, there was a word about strong rate of corruption in Serbia, which was characterized from the both speakers as a big barrier. 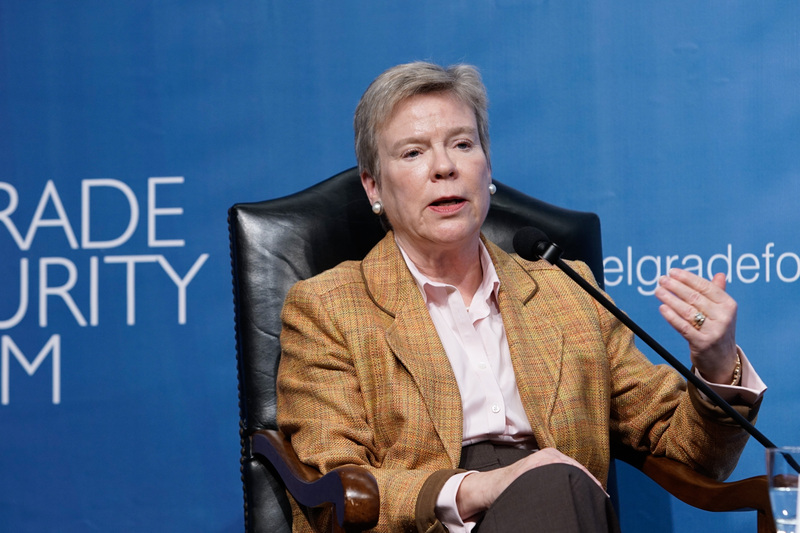 “Institution building and capacity building through contracts are some of the mechanisms that are provided by NATO”, Rose Gottemoeller summarized. 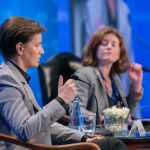 Finishing in optimism, Ana Brnabić reminded that “perceptions are perceptions, but not the facts”. 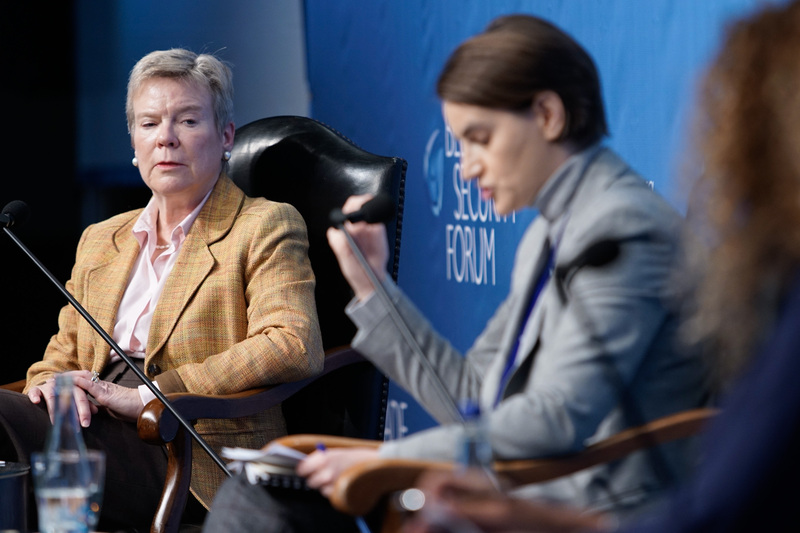 In this respect, she pointed out fantastic partnership with KFOR i order to guarantee Serbian and regional stability. 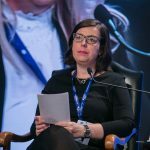 Also, she underlined the topic of migration which has been promoting Serbia as a more capable partner in dealing with crisis than many European countries. 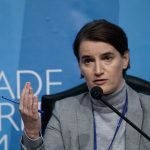 “Serbia is going to be an exporter of stability of the region”, she concluded. 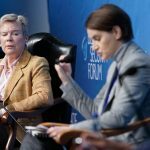 The panel was moderated by Maja Piščević, Senior Fellow at the East West Institute.